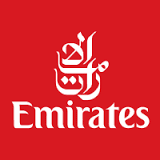 Dubai’s Emirates airline said it uses a variety of social media platforms for its recruitment needs and has a growing social following on platforms such as LinkedIn. The airline currently has the largest following on LinkedIn in the Middle East with over 500,000 followers. The airline also has over 11 million followers on Facebook. The airline uses the above-mentioned two social media platforms – and others as well – to recruit cabin crew, mid-management team, on-ground staff and others employees. The group also advertises on the Facebook and LinkedIn to meet needs of its staff recruitment. Emirates Group recruitment on Thursday hosted its first conference around best recruitment practices through technology and social sourcing.